In a recent victory, Smith Freed Eberhard partner, Brian Driscoll was awarded summary judgment in favor of his client and against all of plaintiff’s claims. Brian was assigned the defense of Michaels craft store after Michaels was sued by a customer who suffered a laceration over her eye while browsing in the picture frame aisle at one of Michaels’ Oregon locations. The customer, turned plaintiff, claimed that Michaels was negligent, and therefore responsible, for her injury when one of its picture frames spontaneously toppled over from an upper shelf where it was positioned. The plaintiff received three stitches above her eye at a cost of $300 and claimed that the laceration resulted in a permanent misalignment of her eyebrow. 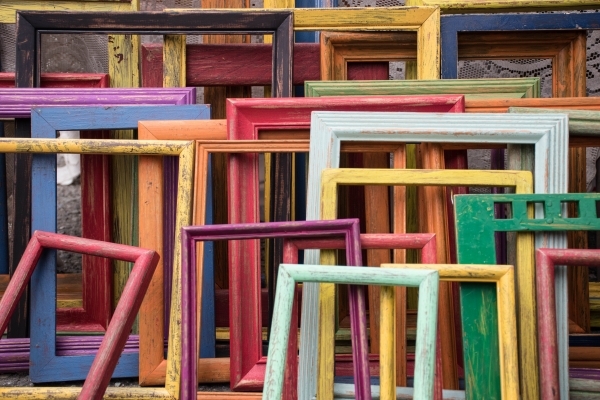 From the inception, no one could picture how Michaels could be responsible for the spontaneous movement of a picture frame or how plaintiff’s claim could be worth over $200,000 in damages. As the facts of the case developed, it became clear that plaintiff had no evidence to explain how the picture frame was set into motion. Further, the facts demonstrated that plaintiff’s cosmetic injury could be corrected with a routine outpatient procedure, costing dramatically less than plaintiff’s requested $200,000 in damages. As would later be referenced in motions practice, Newton’s First Law teaches us that an object at rest tends to stay at rest. Without knowing how the picture frame was set in motion, how could plaintiff blame Michaels? As Brian later demonstrated in a Motion for Summary Judgment, plaintiff’s lack of evidence showing how the picture frame was set in motion meant that plaintiff could not prove that Michaels knew—or should have known—that the picture frame posed a danger to plaintiff. Through plaintiff’s deposition and the deposition of her significant other—who was shopping with plaintiff when the alleged incident occurred—Brian was able to demonstrate that plaintiff had no information to support her theories of negligence against Michaels. Plaintiff’s attorney tried, but was unsuccessful, to develop evidence of negligence through the deposition of Michaels’ manager on duty at the time of the incident. After depositions and document discovery, the table was set for summary judgment. Relying on well-developed case law in Oregon, Brian framed a motion for summary judgment based on the argument that Michaels had no reason to know or believe that the picture frames posed any danger to customers. He also argued that more than likely, it was plaintiff herself or another customer that caused the picture frame to fall. While the motion for summary judgment was pending, Brian’s client agreed to try and mediate the case. The mediator, influenced by the facts set out by Brian and his team, thought that it was possible that plaintiff’s lawsuit was subject to dismissal as a matter of law. During the mediation, Brian’s client reluctantly offered what amounted to defense costs in order to gain the certainty of a full and final settlement of all of the claims against Michaels. Unfortunately for plaintiff, she declined. Just a couple of weeks later, the motion for summary judgment hearing was held in Marion County, Oregon. From the outset, the judge made it clear plaintiff was in the unenviable position of having to convince him that Brian’s reading of the law was wrong. Plaintiff’s counsel failed to do so. The judge found that Michaels had no notice, or reason to have notice, of any potential dangers that the picture frames posed to customers. The judge instead, found that the customers often posed a greater danger to the picture frames. Fully agreeing with Brian’s motion, the judge drafted a letter opinion only a week later dismissing all of plaintiff’s claims. As anyone who works in Oregon knows, securing summary judgment is a rarity. On this day, however, Brian secured summary judgment in favor of his clients. Brian and his clients couldn’t have pictured a better result.